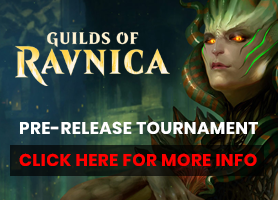 The Dungeons & Dragons / Magic: The Gatheringcrossover Guildmasters’ Guide to Ravnica will get support from WizKids’ on-going D&D Icons of the Realms line of pre-painted miniatures, with two starter sets, boosters, and a premium figure offer, all scheduled for November release. Timed to coincide with the release of the first official Dungeons & Dragons title to cover part of the Magic: The Gathering world (see “‘Dungeons & Dragons’ Officially Meets ‘Magic: The Gathering’”), the aptly-named D&D Icons of the Realms: Guildmasters’ Guide to Ravnica set will feature characters and creatures chronicled in the upcoming supplement book. In all, the set will include a total of 44 new figures, including the Deathpact Angel, the Gruul Anarch, the Boros Reckoner, and the Nightveil Specter, as well as the guildmasters of Ravnica themselves. Additional figures will be available in randomly-packed blind Standard Boosters. Each booster will come with four figures, including one large figure and three medium or small figures. Standard Boosters will be sold in an eight-count Booster Brick with an MSRP of $127.92 per Booster Brick, or $15.99 per Standard Booster. Customers who pre-order a full case of Booster Bricks(4 bricks or 32 Standard Boosters) will be eligible to purchase one case incentive figure depicting the Izzet Guildmaster Niv-Mizzet. 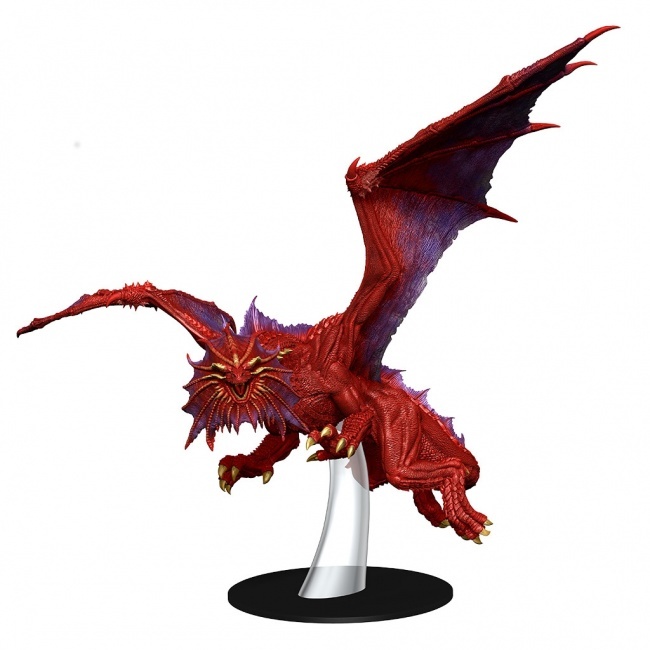 The larger-size Niv-Mizzet Red Dragon Premium Figure will have an MSRP of $49.99, and will be available only while supplies last. In September, WizKids will release an Icons of the Realms set for Waterdeep (see “‘D&D Icons of the Realms: Waterdeep Dragon Heist’”).